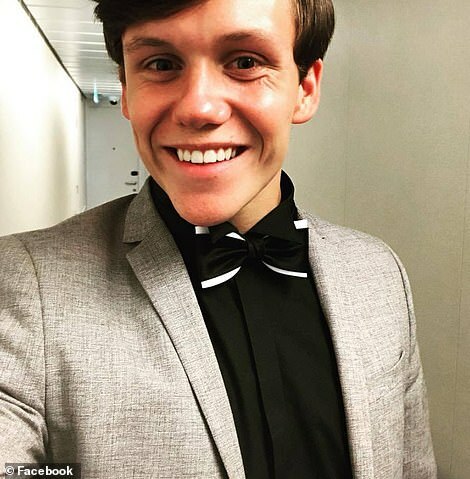 Rescuers were not alerted to the disappearance of a cruise ship entertainer until he failed to report for work, nearly 10 hours after he is believed to have gone missing. 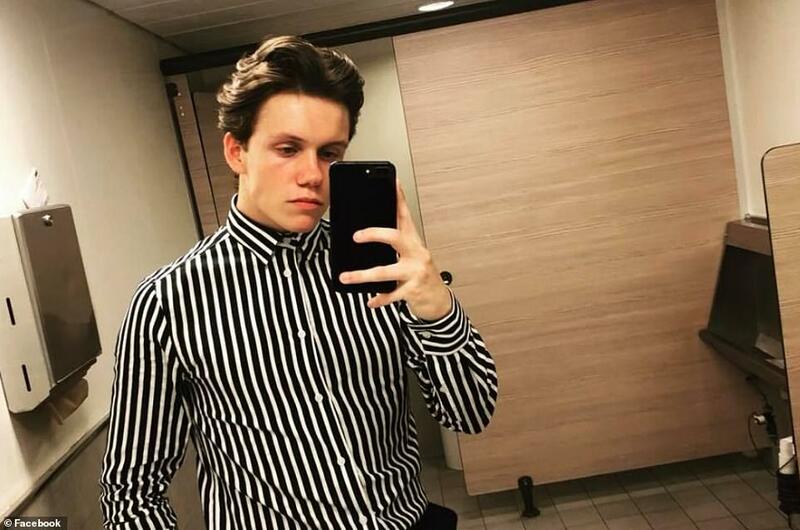 The last CCTV footage available of Arron Hough, 20, showed him heading on to the Royal Caribbean ship’s deck at around 4am, according to a statement issued by the company. However, staff on board the ship only realised he was missing when he did not report to work later that day, the statement added. The United States Coast Guard was alerted to Mr Hough’s disappearance at 1.45pm, a spokesman said. 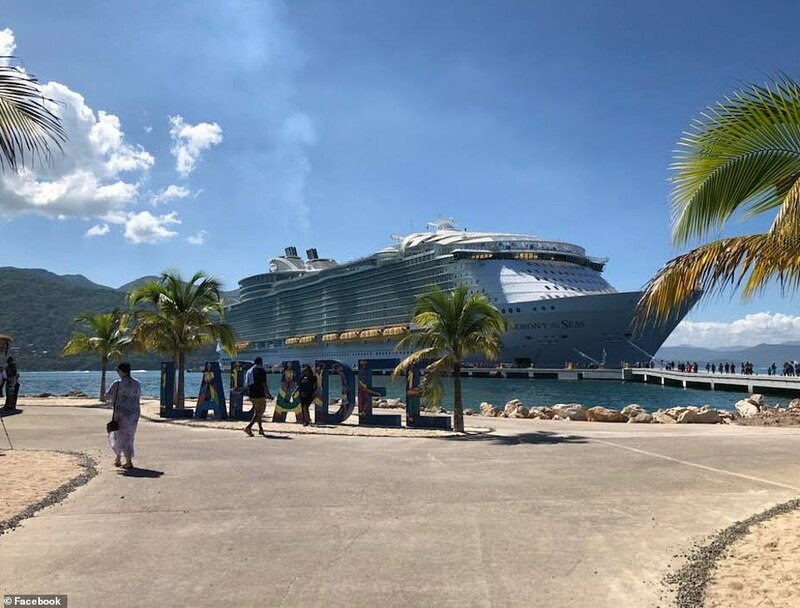 The vessel, named Harmony Of The Seas, was 267 miles (430km) north-west of Aguadilla, Puerto Rico, at the time and was travelling to Philipsburg, St Maarten. 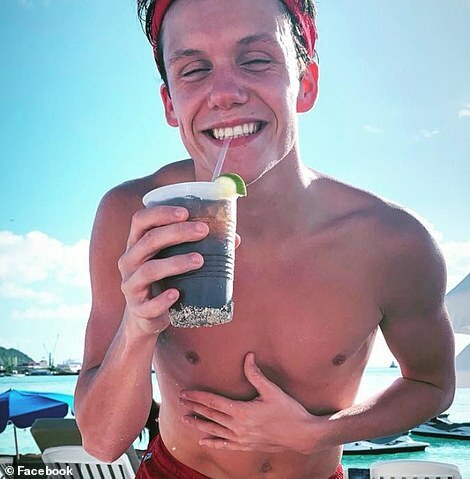 A spokesman for Royal Caribbean said: ‘We are saddened to report that, after a review of the ship’s closed-circuit camera footage, he was observed entering an area on Deck 5 at around 4am and was not seen again. Local authorities were notified and a ship-wide search for the crew member was conducted. 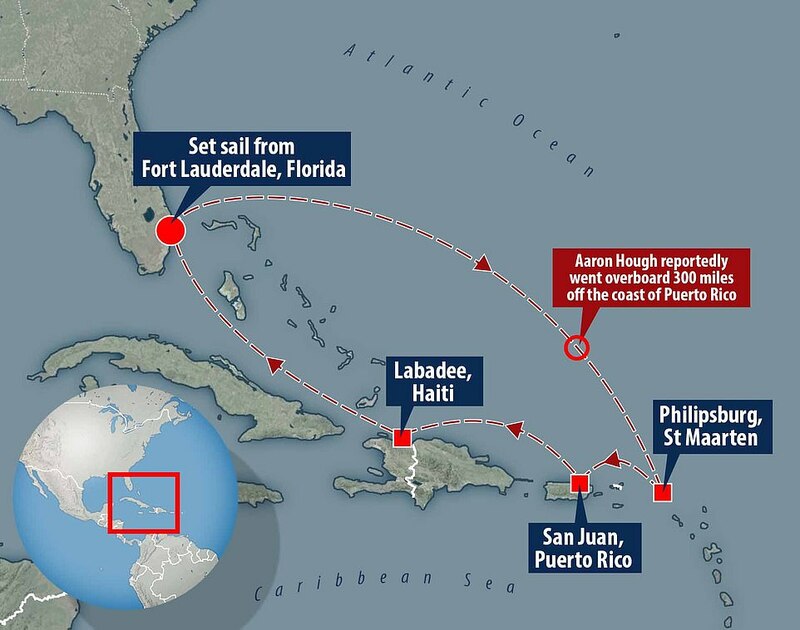 Royal Caribbean and the United States Coast Guard were unable to confirm how far the ship travelled during the time between his last sighting and when the alarm was raised. Mr Hough is from Sunderland and attended the London-based drama school Urdang Academy, according to his Facebook page. 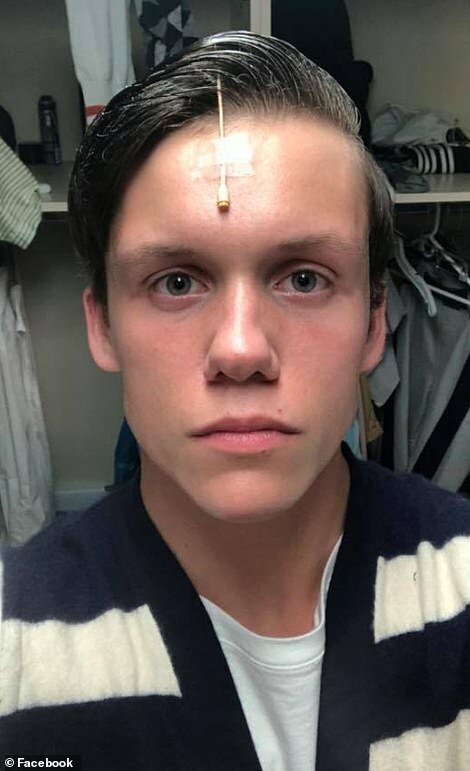 The academy is ‘praying’ for Mr Hough and his family, according to a message posted on Twitter. 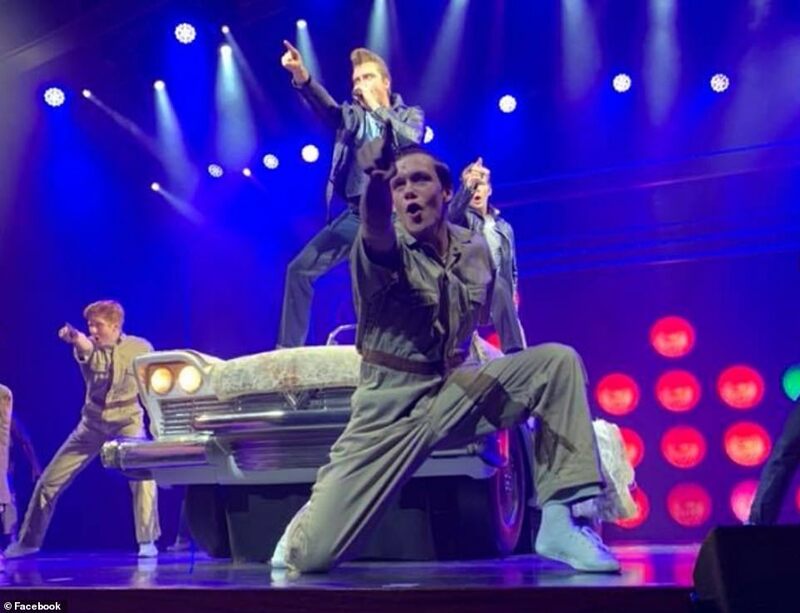 The US coastguard is currently searching for the Briton – who is said to have been part of the entertainment team on the Harmony of the Seas vessel. He fell off the ship 267 miles northwest of Aguadilla in Puerto Rico. 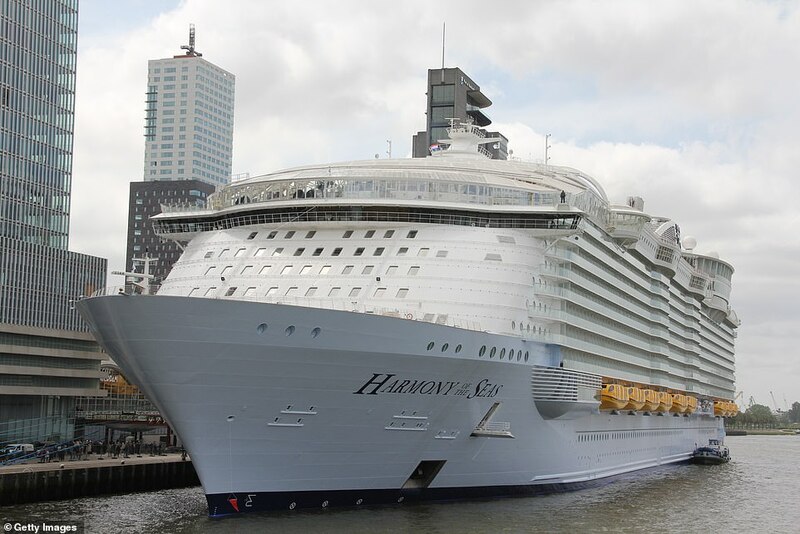 Harmony of the Seas is currently sailing on a seven-night itinerary that departed Fort Lauderdale, Florida, on Sunday, December 23. It has port calls to Philipsburg, St. Maarten; San Juan, Puerto Rico and Labadee, Haiti. 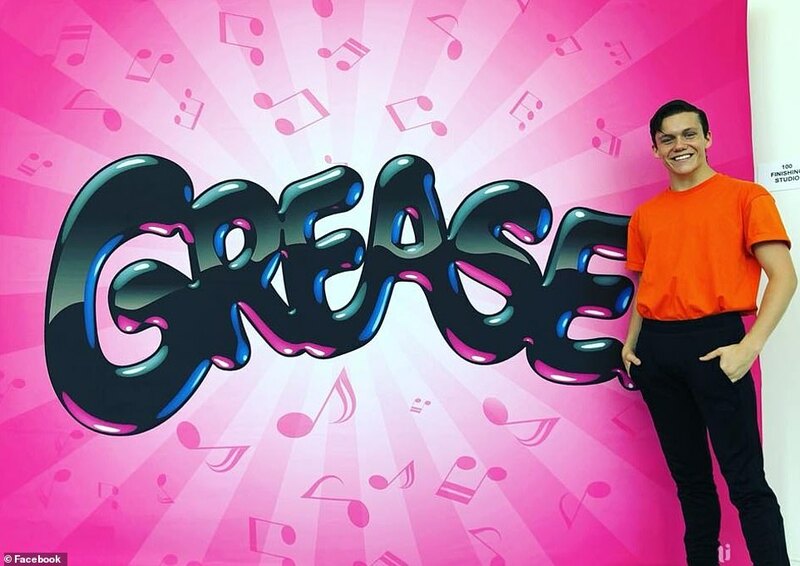 In the days leading up to his disappearance, Mr Hough can be seen tweeting about life on the ship – and even shared footage of his production of Grease. A friend of Mr Hough, who contacted MailOnline but asked to remain anonymous, said she was ‘heartbroken beyond words’ at the news. She said: ‘Arron is the type of person people can only wish to have in their lives. 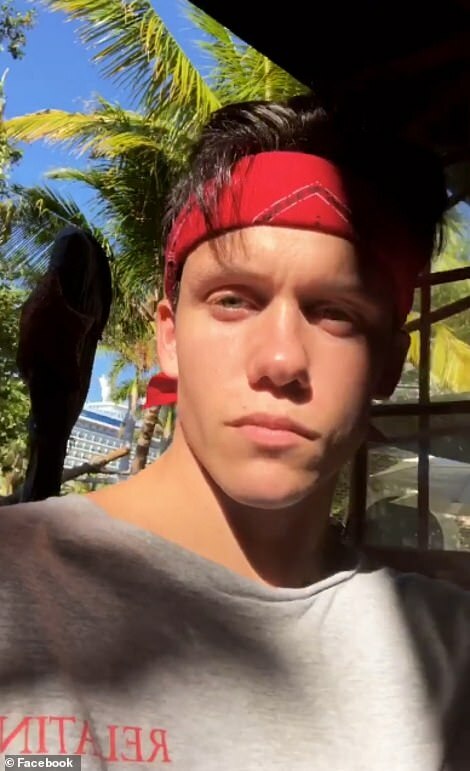 He lights up any room like no one else can and everyone who knows and loves him has so many happy and cherished memories. ‘His infectious laugh and beaming smile is enough to pull anyone out from feeling down in the dumps. He’s helped me through some of the hardest times in my life and for that I’m eternally grateful. ‘I hope and pray we get our Arron back home where he belongs, the light of our lives has gone out. 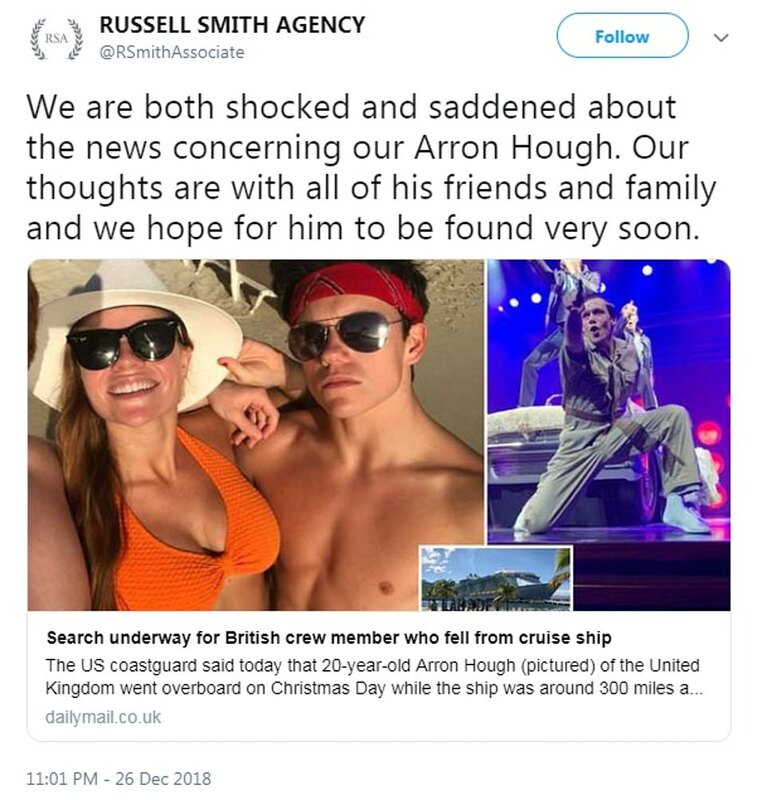 Mr Hough’s mother, Tracey Steel, said on social media that she was ‘so proud I could burst’ when she found out the news her son had got the job on the cruise liner. Royal Caribbean International confirmed that a member of the entertainment team onboard the ship did not report for work on December 25. 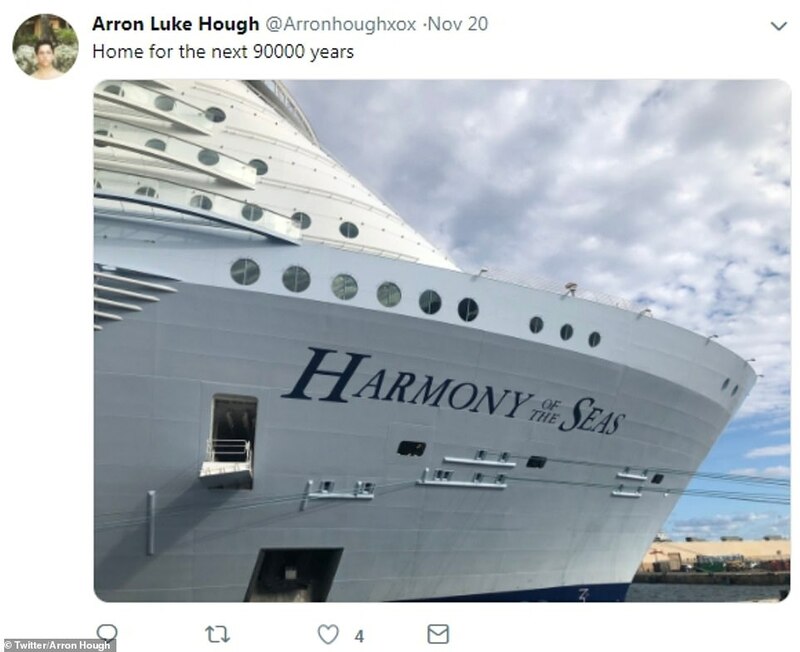 A spokeswoman said: ‘On Monday, December 25, a member of the entertainment team onboard Harmony of the Seas en route to Philipsburg, St. Maarten, did not report to work as scheduled. ‘We are saddened to report that after a review of the ship’s closed-circuit camera footage, he was observed entering an area on Deck 5 at around 4am and was not seen again. The spokesman said that its care team is now providing support to the family and friends of the staff member. While The Foreign Office confirmed to MailOnline that it was aware of the missing man. A HC-130 Hercules airplane crew from Clearwater and the crew of the Coast Guard Cutter Resolute are searching for Hough. The cruise ship was off Aguadilla, Puerto Rico. The ship sails from Port Everglades in Fort Lauderdale. Mr Hough is not the only crewmember this year to fall from a cruise ship, with Jack Daniel Ackroyd falling from the Adventure of the Seas last month during its journey to Cozumel, Mexico. Staff on the ship did not realise the 27-year-old, from Nottingham, was missing until he did not report for duty after the vessel had docked. The ship cost $1billion (£695 million), can carry 6,780 guests and 2,100 crew, and took more than two-and-a-half years to construct.